(RRP £339.99). 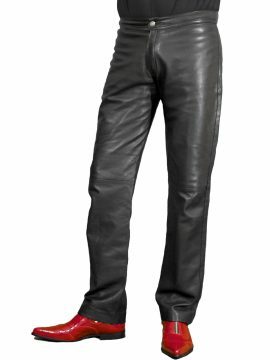 Fantastic mens black leather trousers jeans in a classic smart-jeans style with a more relaxed fit for the leg for extra comfort. Made in soft fine quality lambskin nappa leather, they are a fine quality product. 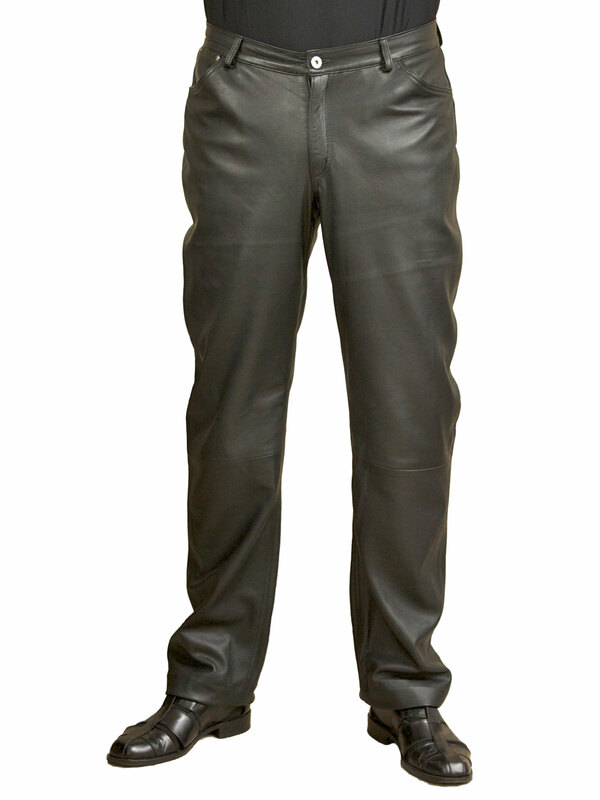 They have a waistband with loops, 2 front pockets, 2 back pockets with stitching detail. Made by Ashwood. 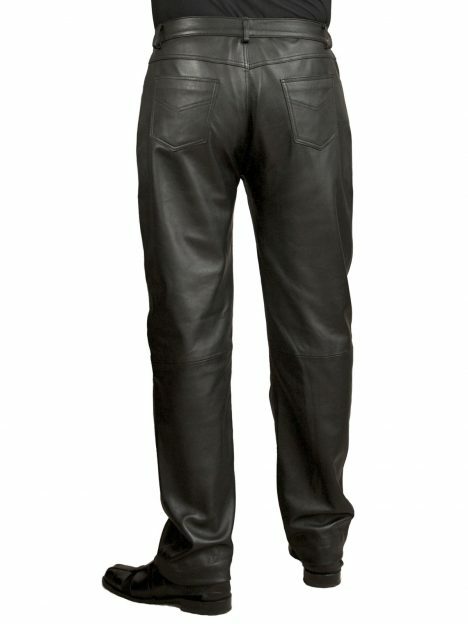 These black leather trousers/jeans are a classic smart-jeans style made from high quality soft lambskin nappa and are designed with a more relaxed fit for the leg. 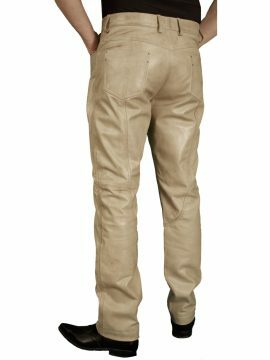 They have a raw, unfinished hem which means that if you need to shorten the leg, you can either just cut to the desired length and leave unfinished or turn the hem up and secure with a suitable adhesive (both of which are common practices with leather clothing). Our best advice? Do not choose the size you think you are normally – please get the tape measure out and measure your waist! Please don’t rely on the waist measurement on the label in other clothing you have as it may not be directly comparable with our sizing because of differences in style and also ‘vanity sizing’ on the High Street. Our Sizing Information gives more details.